From day one of their defeat on January 8th, the seedy camp of the former regime employed an age-old tactic to face the inevitable large scale corruption and criminal charges brought up against them. This is the strategy of throwing dust in the eyes of the potential enemy-in this case the people who have to make their judgment. Confuse the people and give a try at making the latter believe that it is the yahapalanaya government who are really corrupt-not their good selves. Brazen liars these corruption masters have been. The Joint Opposition are doing this pretty well, one must admit. They also keep repeating the dust-throwing at every little opportunity they can muster. In this way, the dust-throwing is coupled with the Goebellian theory of repeating a false position to such an extent that that position will be accepted by the people. The Sri Lankan media, in general, has lost its critical sense and are as prone to be beguiled by deception as the ordinary masses are. I am not saying that the people and the media do accept that the ten year regime of Mahinda Rajapaksa was a model of moral perfection. They may, mercifully, never accept that stance- given the extent of moral turpitude of the previous regime. However, people can get to the point where they believe that corruption is the norm or way of life of all Sri Lankan politicians-whichever side. “So then, what’s all this fuss?”- the people would think. The message is gradually being digested by both media and the people are doing the same. Unless the yahapalanaya government counters this diabolical weapon they are in for trouble and our society will also be jeopardised by an appalling new norm. Media personnel will re-live the era where the Gestapo knocks at their doors in the dead of the night and take their personnel away. Yahapalanaya has secured their safety. The JO campaign has now arrived to the point of throwing dust to make you and I believe that the widely-publicised Mr Clean of Lankan politics, Prime Minister Ranil Wickremesinghe, is also deeply corrupt? May not have yet arrived at the point but the JO are certainly heading in that direction and taking the battle right onto this man. It is clear that the Treasury bond issue has been so overwhelmingly politicised with this agenda alone in mind. Get rid of Ranil Wickremesinghe and the rest of the yahapalanaya establishment will collapse like nine pins. 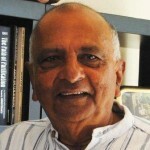 it is logical that JO demands that Mr Wickremesinghe must “temporarily” resign. What a generosity in using the adverb ‘temporarily!’ JO knows that such a temporary resignation would end up in permanence. That’s exactly what they want. Isolating President Sirisena thereafter and capturing his support, JO believes, is a matter of short time. For that’s how Sri Lankan politics has travelled over the last decade or two. Political support has become something negotiable and not demanding principle. Readers have to bear in mind this fundamental political agenda that is working underneath in the controversy surrounding the so-called ‘bond scam’ In fact, everyone referred to this phenomenon as a “scam” long before COPE declared it as such. This shows the JO trick is working. The dust-throwing strategy is also another form of attack in order to defend. Just take a look at the holies who are in the front of this campaign of deceit and how they put up a brave face. You will then see what really they are up to. What a saint is Gammanpilla? Wimal Weerawansa? Keheliya? Bandula Gunawardane? Aluthgamage? Indeed they all need to be canonised as national saints. Those others behind them have also bought millions worth of property and are now avoiding ownership claims before court. The entire lot of these blokes do all this self-righteous moral screaming knowing well that during their ten years of rule billions worth of Treasury Bonds had been sold only by private placement-inviting their cronies only to bid. The laughable irony is that Mahendran’s son-in law’s company had been one of the beneficiaries of private placement under that regime. One good change done by their devil, Arjuna Mahendran, was to replace the vicious private placement by public auction. First, the COPE is essentially a political body and it became in this instance the primary battlefield for those opposing the yahapalanaya government to try and tear the government and the PM apart. COPE is functional for issues that are not acutely politicised- say, an issue about frauds and losses in a corporation caused primarily by its officials. On the other hand, such a body is not the right one to judge an issue embroiled in a national political crisis. As President Sirisena said the other day, a judicial body should examine this without the involvement of politicians. That position is unassailable. Second, whether Mahendran and his son-in-law was guilty of fraud is something that must be judicially determined following judicial procedure. Only a court is both legally and substantially competent to do that. The COPE, on the other hand is not a judicial body. Its report must necessarily go to the AG who may then indict the accused in court. Thus the question of guilt is still undecided. Third, the COPE report does not place any blame on the Prime Minister. On the other hand, its Chairman, Mr Handunneththi, had clearly stated “that if they had conducted the auction as the Prime Minister had instructed, this problem would not have arisen.” The PM is totally out of the picture. Hence, the JO demand for the latter’s “temporary resignation,’ is sheer cheap politics. 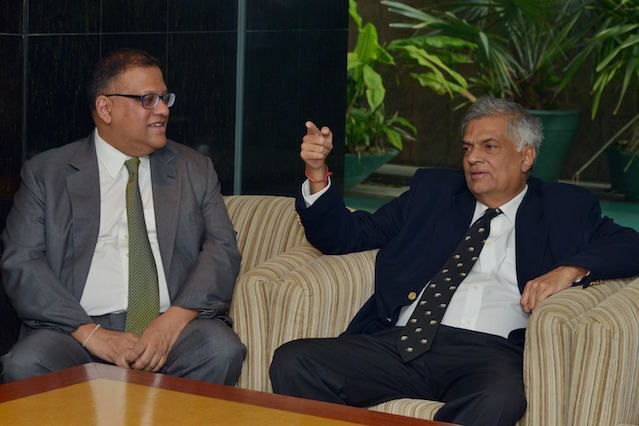 Mr Wickremesinghe gave the desired cold shoulder and even stated he is willing any moment to go before the Bribery Commissioner. Fourth, the Central Bank Governor, once appointed is out of control of the Prime Minister’s office. The law guarantees his independence from any political control. This is the same practice in all developed countries. Hence, the Prime Minister cannot be called in question for any misdoings of the Central Bank. The Governor is a free agent. 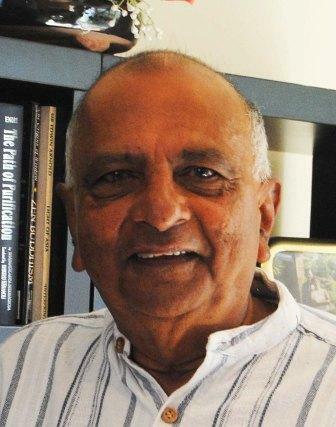 The only aspersion that can technically be cast on Mr Ranil Wickremesinghe is over his choice of Mr Mahendran as Governor. However, even given that Mahendran is guilty, the Prime minister could not be expected to foresee these happenings. There isn’t any denying that Mr Mahendran’s credentials for the position were sound. A columnist in a national weekend newspaper on 5/11 rightly stated that the fact that the Attorney general stood his ground over his report to the COPE showed one great thing namely, that yahapalanaya is on. Under the previous regime the AG, like all other bodies meant to be independent of political control, was under the President. A firm AG would have had to live under threat of either dismissal or of life. Can We Return Sri Lanka To Democratic Government?